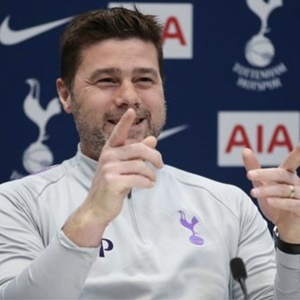 Cape Town - Tottenham Hotspur boss Mauricio Pochettino has spoken of his dismay over the racism Danny Rose and Raheem Sterling have endured. The Argentine feels sorry for the victims who don't have a platform from which to denounce discrimination. Sterling and Rose were among the England players targeted by racists in the recent Euro 2020 qualifier in Montenegro and Spurs defender Rose spoke afterwards of his eagerness to walk away from football because of the discrimination he sees. Ahead of Spurs' Champions League quarter-final first leg on Tuesday when Rose and Sterling will come up against each other, Pochettino has spoken out for victims of racism. The Tottenham manager said: "It's a thing that not only Danny suffered, it's Sterling and different people and people on the street. "It's a thing that we need to work together to stop. But it's not only in football, it’s in different areas. “That's what's more painful because those people can't go and say how much it hurts. "We are very sorry for Danny and Sterling because of what they suffered but they can denounce it. There are many people who can only go home with it." Kick-off for Spurs clash against City is at 21:00 (SA time).